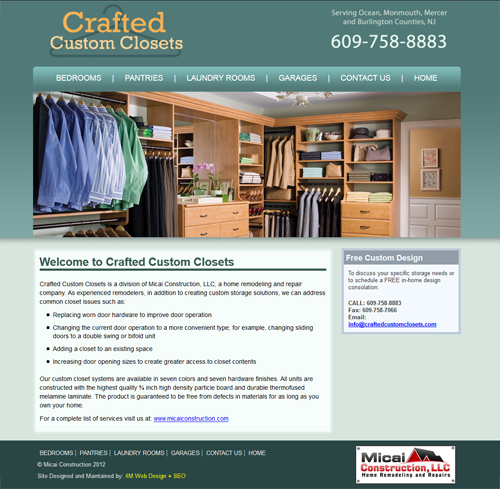 We’re excited to announce the launch of a new website for Crafted Custom Closets, a division of Micai Construction, LLC. They create custom storage solutions for your bedroom, pantry, laundry room and garage. The new website features a vivid color palette and uncluttered layout, giving the site a welcoming and contemporary look.